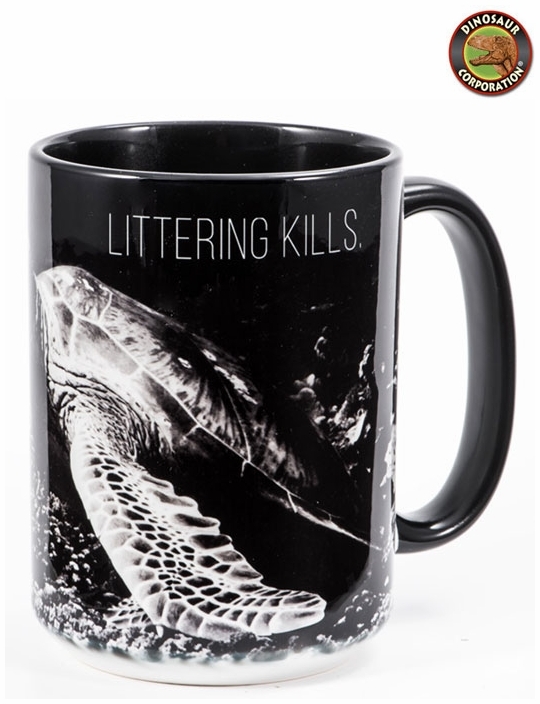 Start your day with this bright colors Littering Kills ceramic mug. 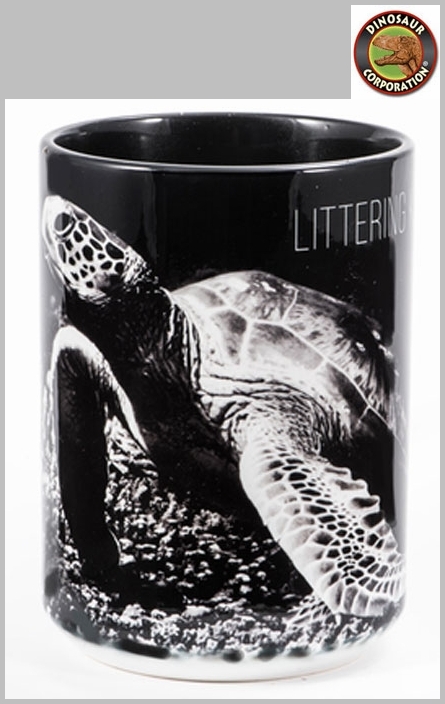 Unique gift for all sea turtle and nature enthusiasts. Add some awesome fun to your sea life collection. * Holds 15 fl. oz. * Each, 3.5" Dia. x 4" T.